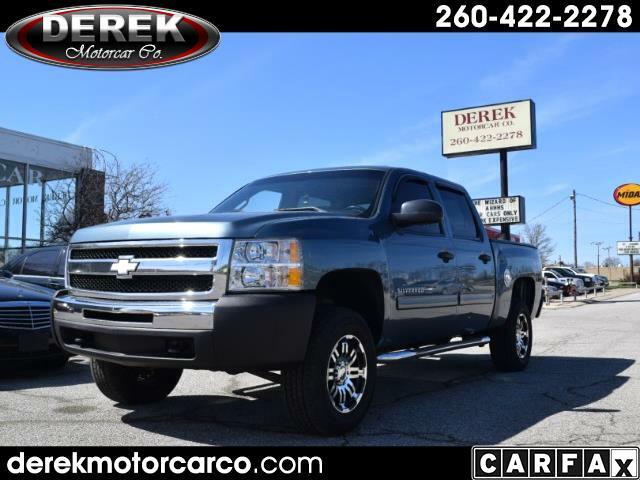 Used 2011 Chevrolet Silverado 1500 LT Crew Cab 4WD for Sale in Fort Wayne IN 46805 Derek Motorcar Co. Afraid of getting stuck in the snow? Not with this one! 4WD! Christmas Special. Just reduced. This steel blue Special K1500-LT 4X4, 4-door has tinted windows, air, AM/FM CD player, custom alloy wheels, telematics system, power windows, steering wheel mounted controls, keyless entry, second row folding seat "Pendaliner" bed liner, come drive it today. 260-422-2278 with any questions you might have.